How Much is a 5 Carat Diamond Ring? The cost of a diamond will vary depending on whether it is sold at a wholesale or retail price. The wholesale price is the rate that a manufacturer or distributor charges for a product, whereas the retail price is the rate that a retailer charges for a product after purchasing it from a manufacturer or distributor. Retailers will not make any money if they sell products at the wholesale price, so they mark up prices in order to profit off of the sale. For this reason, a 5 carat diamond’s wholesale price will be lower than its retail price. You don’t need to be in the business to take advantage of wholesale prices. Look for a jeweler—like Brilliance—that sells diamonds at wholesale prices so you can get the best deal on a 5 carat diamond ring. The setting in which the 5 carat diamond is placed can also influence the overall price of the ring. Simple settings without accent diamonds or gemstones and intricate detailing are the least expensive. Fortunately, a diamond of this size is so beautiful that it does not need a fancy setting to sparkle and shine. If you are working with a tight budget, keep the setting as simple as possible to minimize costs. The type of metal used to create the setting will impact the final price, too. Five-carat diamonds are usually placed in settings of gold or platinum, which are the two most expensive metals. The elegance of these upscale metals complements the opulent look of a diamond of this size. However, if you want to reduce the overall cost of the diamond ring, consider using an alternative metal such as titanium or palladium. These metals are durable enough to keep a 5-carat diamond safe, but they are not nearly as expensive as platinum or gold. The color and clarity of a diamond will affect its price as well. Slight hints of yellow may not be visible in small-sized diamonds, but it’s hard to disguise this color in a 5 carat diamond. The same can be said of inclusions, which are imperfections found within a diamond. Inclusions are often visible to the naked eye in a diamond of this size. Because of this, it is best to choose a 5-carat diamond with fairly high clarity and color grades, which will increase the overall price. 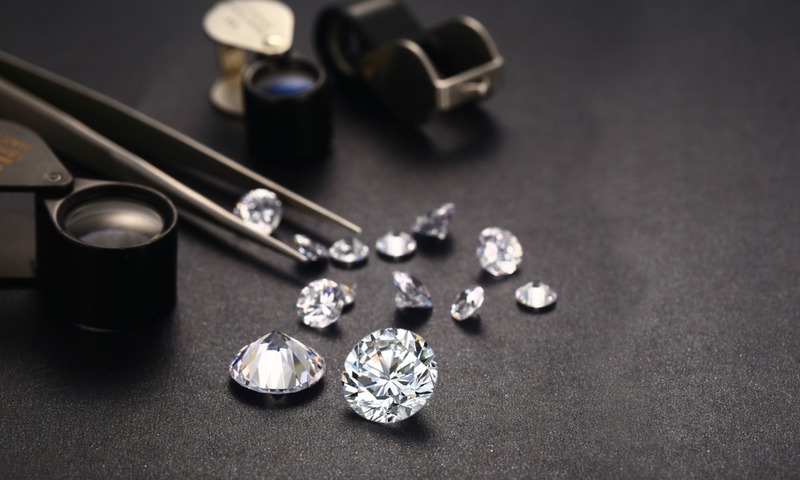 If size is your priority and you are on a tight budget, you have the option of choosing a diamond with a slightly lower color and clarity grade to make it more affordable. As you can see, it’s not easy to determine how much a 5 carat diamond ring will cost since the price can vary so much. 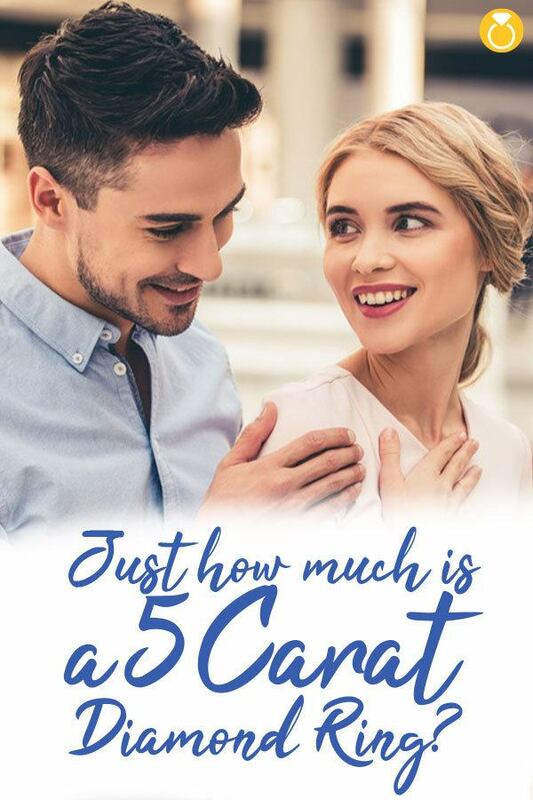 But in general, experts estimate that a 5 carat diamond ring can range anywhere from $100,000 to over $500,000 depending on a number of factors, including those mentioned above.